Ukraine’s Finance Ministry has said it is rushing to finish drawing up three key bills that will form the budget package: tax legislation, social deductions legislation and the law on fiscal powers decentralization to the regions. 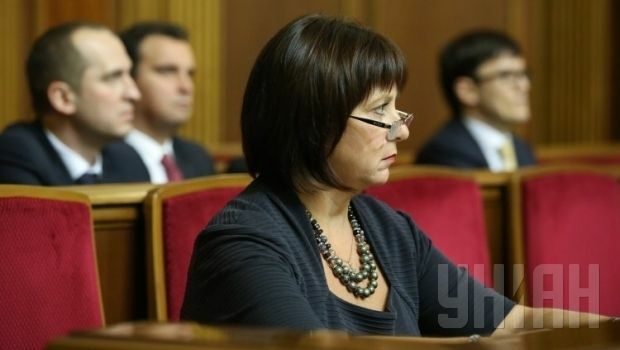 The ministry is drafting its state budget for 2015 on the basis of the expectation of zero growth in the economy, Finance Minister Natalia Jaresko said in an interview with U.S. newspaper The Wall Street Journal, the ministry’s press service has reported. "The budget package envisages zero nominal growth in 2015," a ministry press release reads, quoting the minister. According to Jaresko, the ministry also hopes to conclude its negotiations with lawmakers regarding the budget package on Wednesday, December 17, and adopt a new budget by December 26.